externaldraganddrop demonstrates how to perform drag and drop with MouseArea and DropArea. The example allows you to drag the text to other boxes, out of boxes into other applications, and from other applications into the boxes. 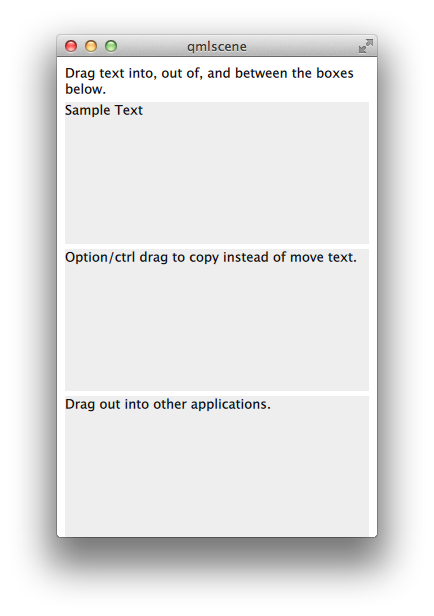 Use the option or CTRL keys to copy rather than move text when dragging between boxes.